It's never too late to start reading Allah swt book. We come from different paths and experiences in life. Some of us may be lucky and born in a family that practise Islam strongly while there are others like ourselves that do not have such background and we wish to know more about the deen and want to be able to read and recites the Quran. While there are others who have learned and read the Quran but because of influences, they've stopped learning and they've got lost along the way during their youths and wish to start again from the beginning. There's an opportunity to start again. 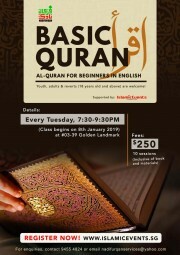 This is a course designed for Youths, Adults and Converts who wish to learn to read and recite the Quran from Zero. Starting from recognising each Basic letter, Learning to Pronounce each Letter Correctly to Mastering the Basic Letters. This course is the 1st module of 3 comprehensive modular programme. 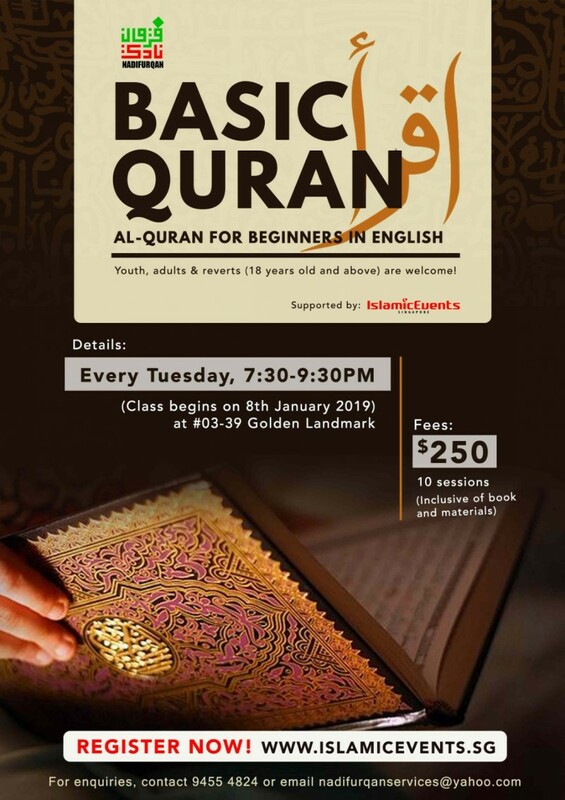 After which the student is encouraged to take up the Basic Tajweed Course and Advance Tajweed Course. Students will be learning in a small group environment and evaluated individually. - Please call us @ 9231 7430, Monday to Friday, 10.30am - 6.30pm to arrange an appointment.